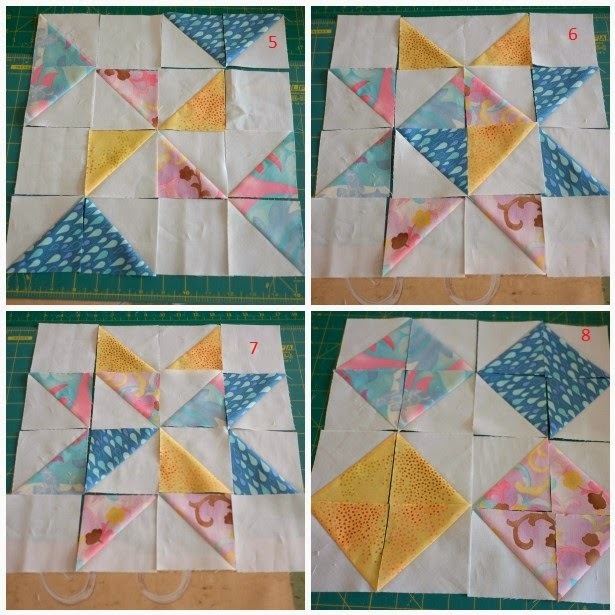 Remember all those Half Square Triangles I made when exploring different ways to make them? 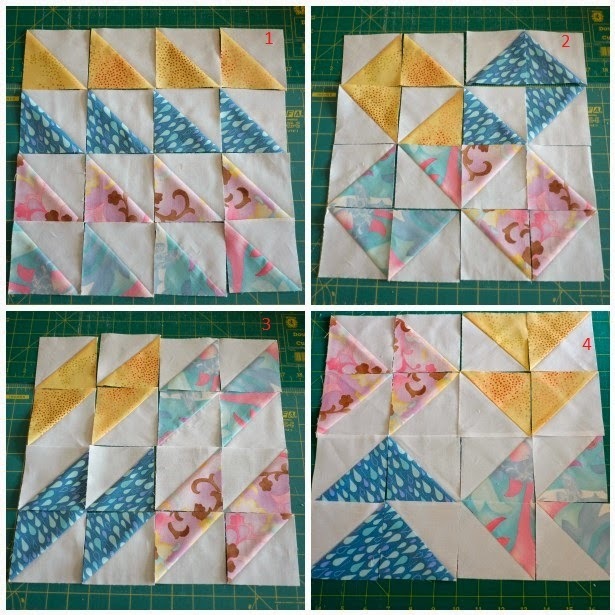 I thought I would open a challenge today to show that we modern quilters love traditional blocks just as much as modern blocks. How many of these 16 blocks can you name? Anybody used any of these in a quilt design? We would love to see them on our Flickr Group or Facebook! Some more with variations on a theme! 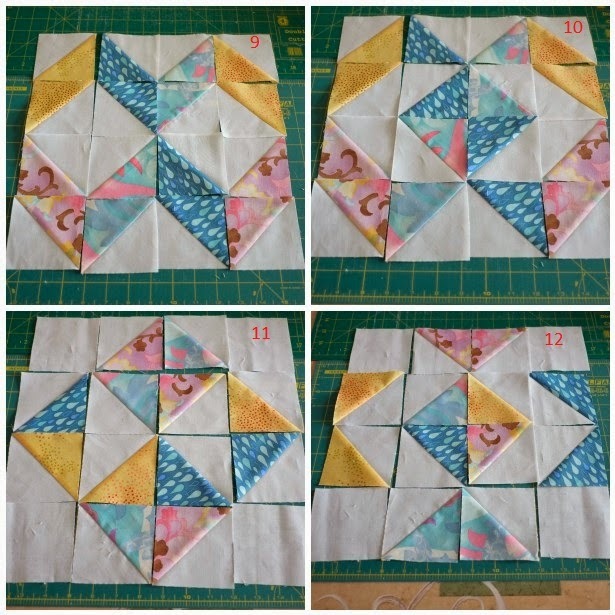 Of course I made my practice HST from scraps and arranged and re-arranged them to get these variations. Now I'm wishing I made them from a bunch of yardage or Fat Quarter Bundle as I love these fabrics in HST blocks. Wouldn't they make a great sampler quilt? 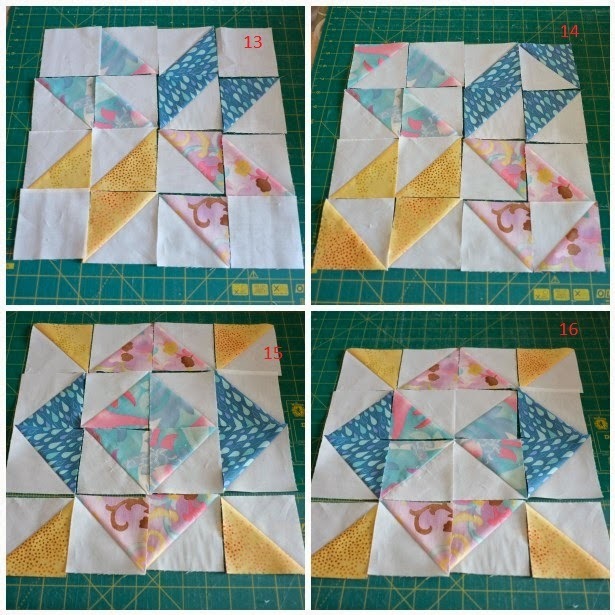 Or number 15 in this last set as a whole quilt? I think this is my favourite in the whole bunch! What's your favourite HST block?